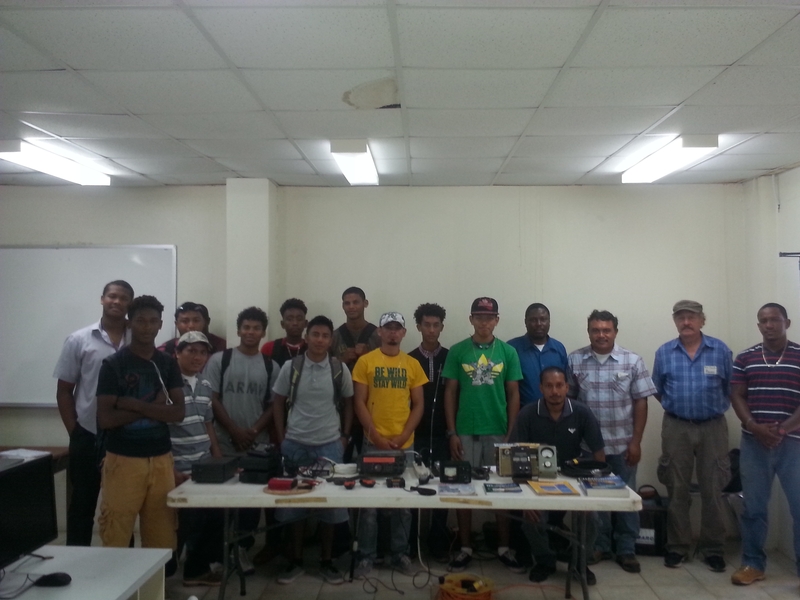 Engineering Students at the University of Belize have been given an Introduction to Amateur Radio by members of the Belize Amateur Radio Club. The introduction was held at the University of Belize (UB) Engineering Department in Belize City and included a summary of BARC´s educational goals, a short video, a lesson on ham radio basics (such as propagation and the radio frequency spectrum) and a question-and-answer session. BARC President Emil Rodriguez, V31ER, encouraged the young students to grasp the opportunities that Amateur Radio offers to expand their skills in their field of study, Mechanical and Electrical Engineering Technologies. The introduction represents the first step towards establishing a partnership between BARC and the UB Engineering Department. It is envisioned that through this partnership students will learn specific skills that include building simple antennae, exploring electronic circuits, practicing voice procedures, and learning theory necessary to obtain their ham radio licenses. Following the BARC Ham Radio introduction, students and staff members expressed their intention to establish a UB Amateur Radio Club shortly. The establishment of a permanent Ham Radio station at the UB Engineering Department would be a first and could greatly enhance the educational capacity of the institution. It would also allow students to contribute to their community by engaging in emergency radio communications during hurricanes that affect Belize.